Food photography often involves shooting simple ingredients while making them look interesting. 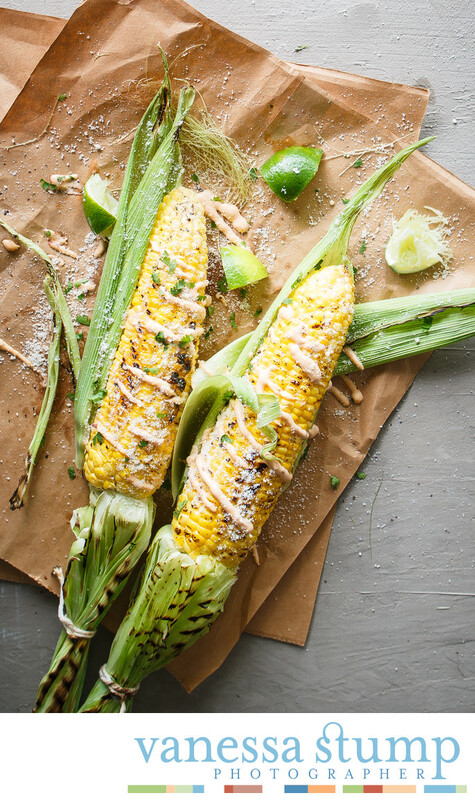 For this image of char-grilled street corn, the food stylist and I added mayonnaise, parmesan cheese, limes and brown craft paper to give the corn a handmade feel. Images of simple ingredients are often used to promote seasonal items on menu boards, as restaurants love to showcase the freshness of their produce or proteins. As a food photographer, my task is to ensure I realize the marketing department's vision and goals for their brand imagery.